A couple of years ago I went through a crock pot phase. I got all excited about making freezer meals and cooking them in the crock pot while I was at work and thought I had solved all my weeknight cooking problems. It didn’t work out so well for me. First, I’m gone too long for most crock pot dishes and even on low with a timer (that turns it to warm), most of my meat was way over cooked. 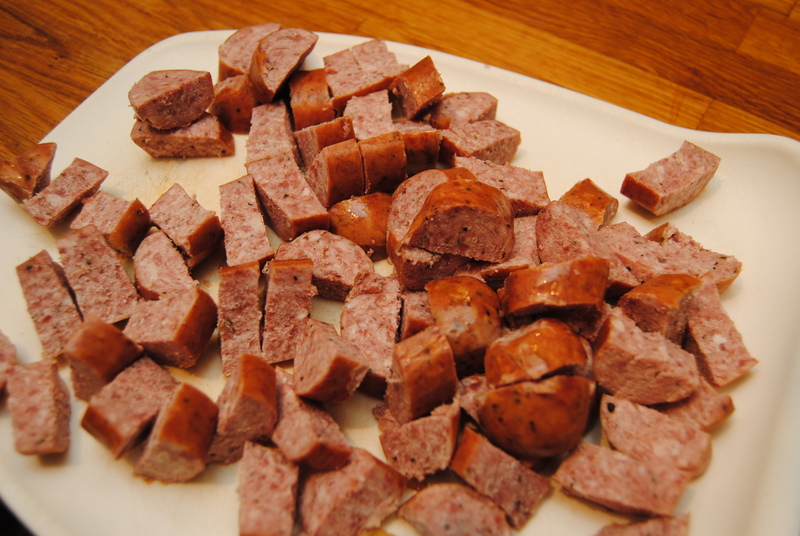 Second, the meat started to get a funny taste that I can’t really put my finger on, but I just didn’t like it. Seemed like everything I put in the crock pot had that same funny taste, and I so I retired it for a while. 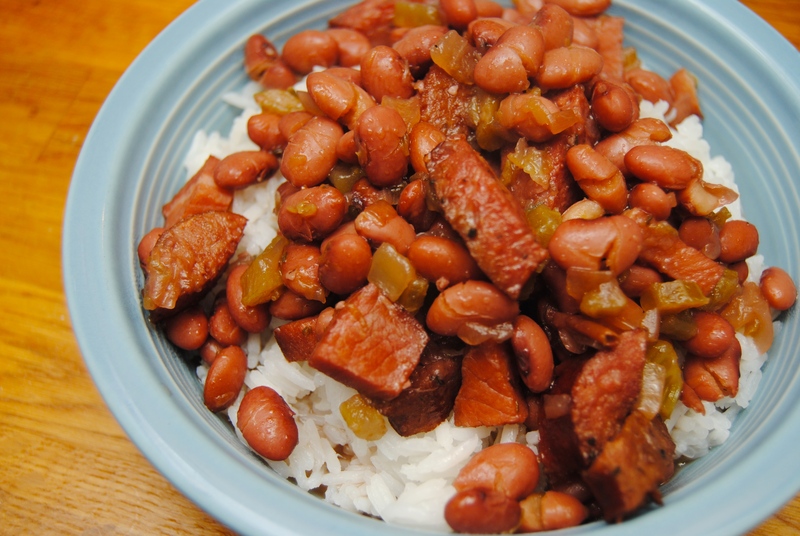 I’ve been wanting to find a good red beans and rice recipe, and when I came across a slow cooker version, I figured I would give it a try. 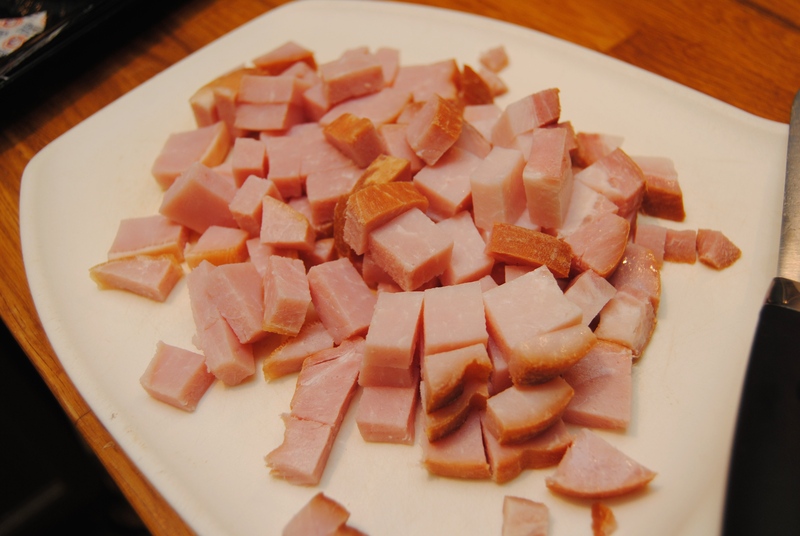 I’m happy to report that this dish turned out great – and no funny taste. Yay! 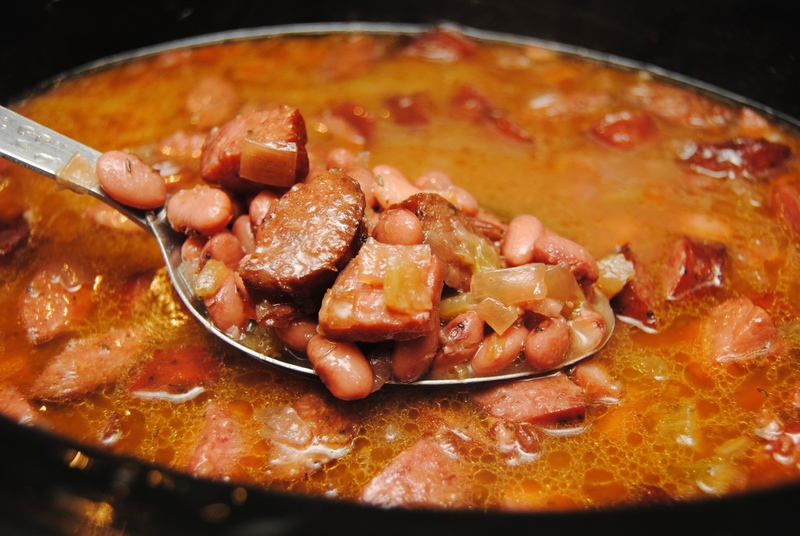 If you like some heat in your red beans and rice, you may want to add a little cayenne pepper at the beginning. My kiddos don’t love spicy foods yet, so I opted to stick with just paprika. 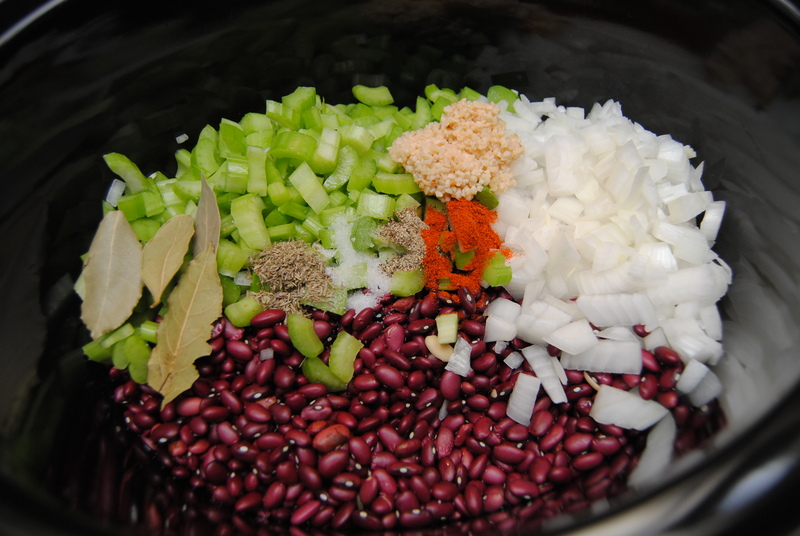 I also didn’t presoak these beans… they spend so much time in the slow cooker that they are perfectly tender by the end. The whole family really liked this meal, and we benefited all day from the awesome smell coming from the crock pot. Enjoy! 1.) 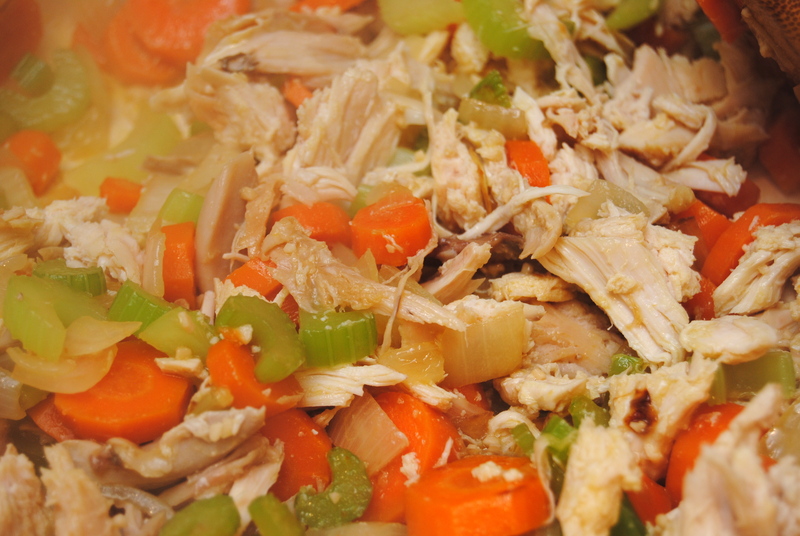 Place first 10 ingredients in a crock pot and stir to combine. Cook either on low for 9 hours, or on high for 7 hours. 2.) Half way through, add smoked pork chops and kielbasa sausage. I’ve been cooking a lot this week, but haven’t had the time to post… so I’ll be trying to catch up this weekend. With Blake being home in the evenings now, I was able to come up with some new recipes. 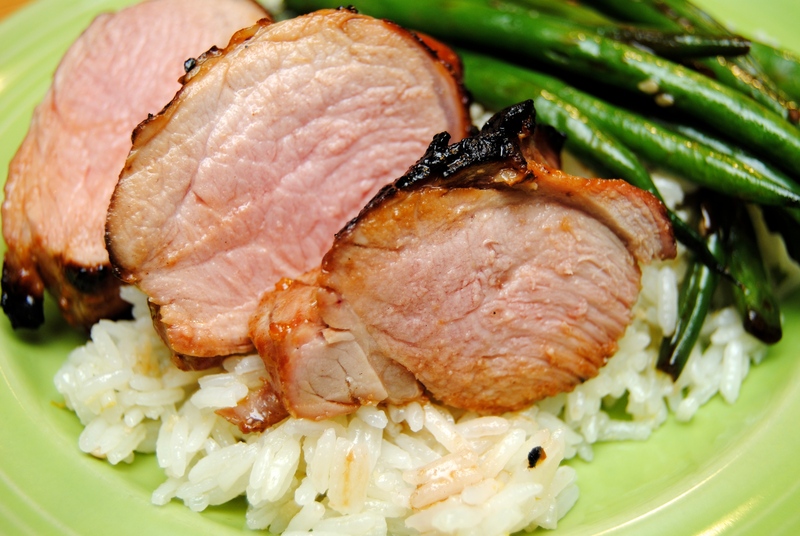 One of the dinners from this week was a grilled Asian pork tenderloin that I served over lemon jasmine rice with sesame green beans. It was a clean-your-plate kind of meal – delish! 1.) 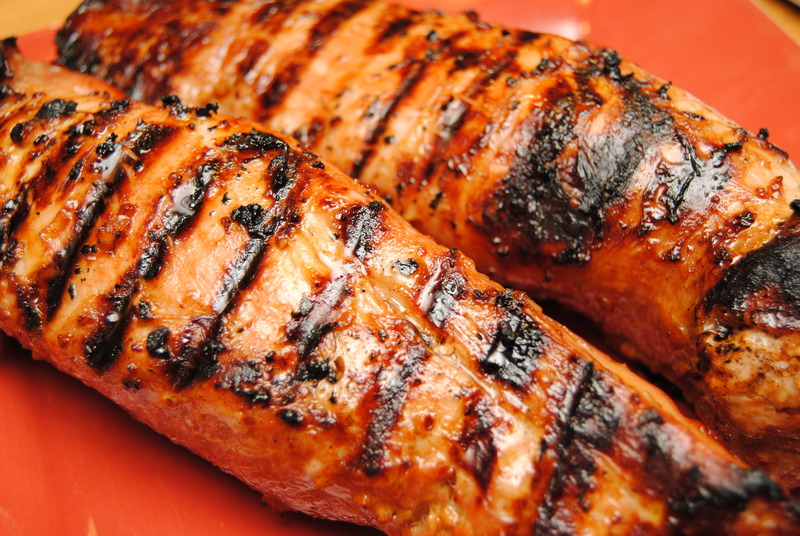 Place all ingredients in a Ziploc bag and let it marinate at room temperature for 15 to 20 minutes. 2.) Grill on a preheated grill for about 7 to 8 minutes on each side. 1.) Place water, 1 tbsp olive oil and salt in a medium sauce pan. Bring to boil and stir in rice. Cover and turn heat to low. Simmer for 15 minutes, stirring occasionally. 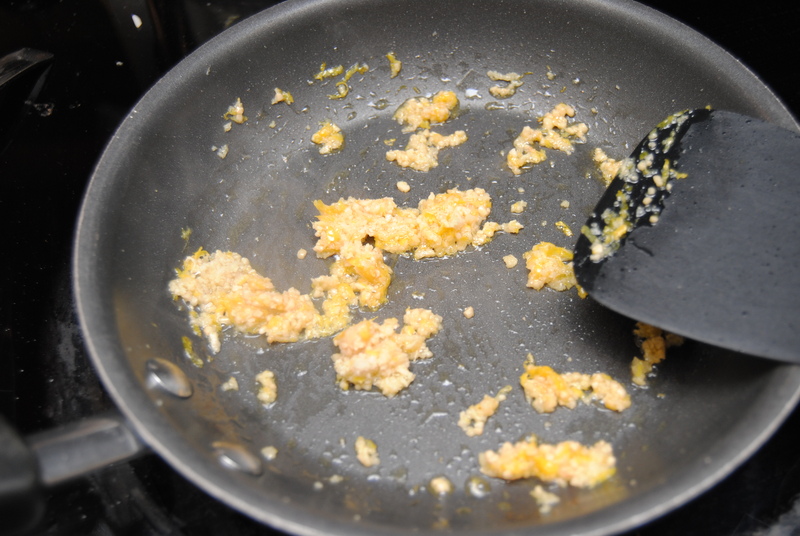 Remove from heat and stir in 1 more tablespoon of olive oil. 2.) In a small sauté pan, add 1 tbsp olive oil, lemon zest, ginger and garlic. Saute for 2 to 3 minutes. 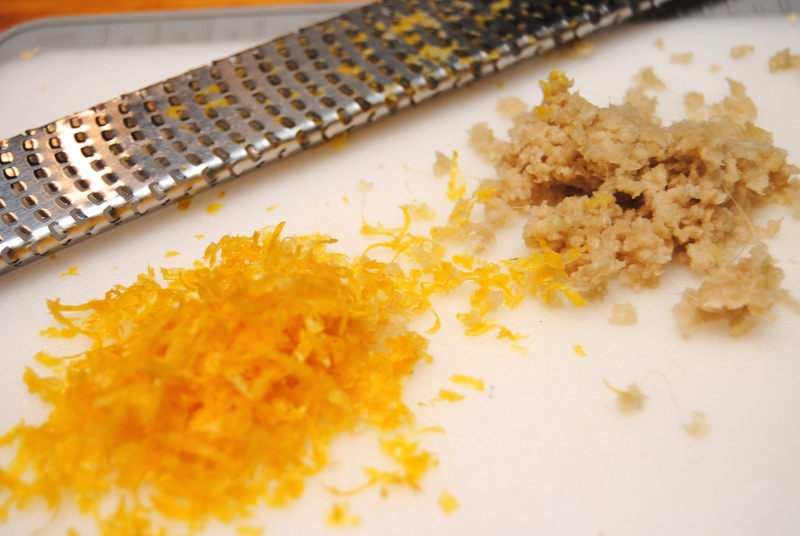 Stir the lemon, ginger and garlic in with the rice. 1.) In a large saute pan, heat sesame oil over medium high heat. Add garlic and sauté for 1 minute. Stir in green beans and sauté for another minute. 2.) Add chicken stock, soy sauce, honey, salt and pepper and cook for about 5 minutes, or until beans are just slightly tender. Stir in sesame seeds. Ever since I started avoiding MSG in my food, yellow rice has pretty much been off limits. But my favorite variety of chicken and rice is chicken and yellow rice. 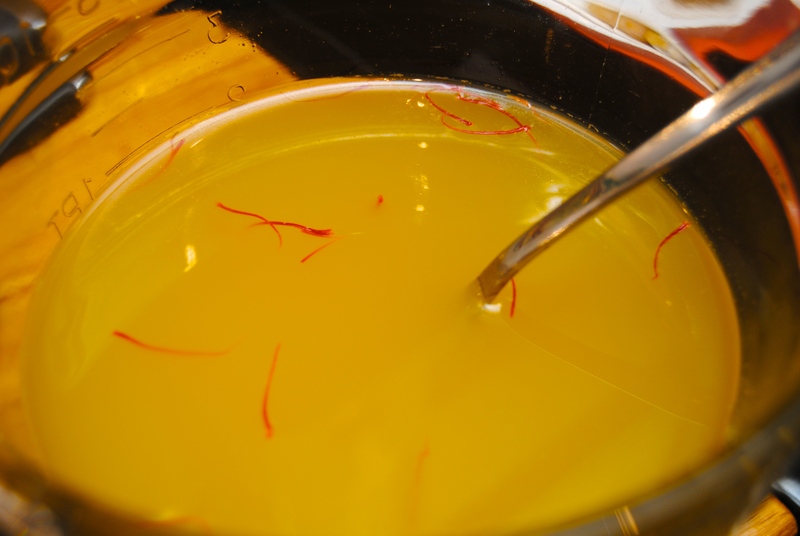 So I decided to try to make it from scratch, which required me to work with a foreign ingredient – saffron. I was very proud of my small-town Publix for actually carrying it (in the ethnic section near the Spanish and Mexican foods). 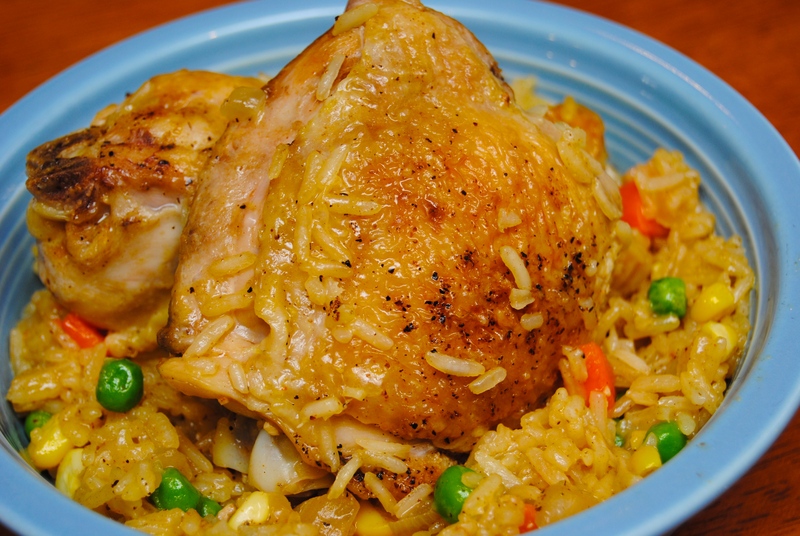 I made a “saffron tea” with some of the chicken stock, and it worked like a charm – yellow rice the natural way. This turned out really good and was exactly what I’ve been craving. If I wasn’t feeding it to the kiddos, I would have added a little heat, some more paprika and probably some red pepper flakes. This can be done start to finish in under an hour, so it’s definitely a weeknight possibility. And only one pot to clean, definitely a plus in my house! Hope you enjoy! 1.) 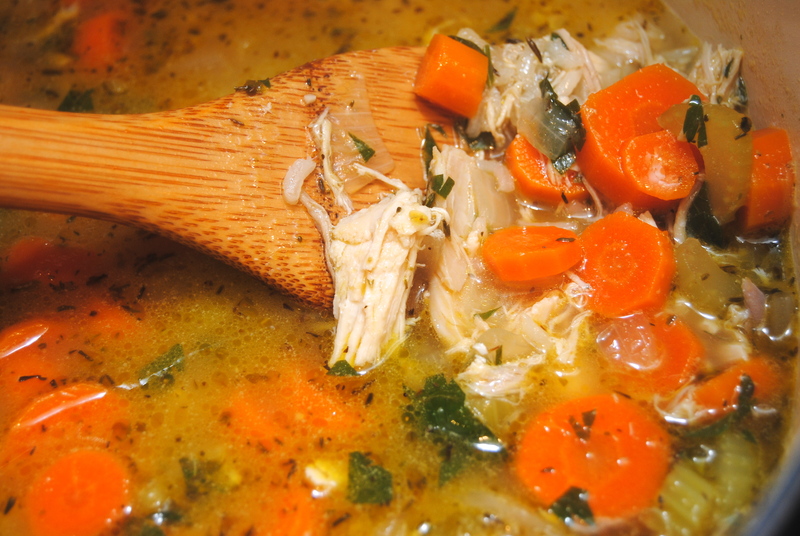 In a glass dish, heat about 1 cup of chicken stock in the microwave for 2 to 3 minutes, until very hot. Add saffron and stir. Allow saffron to dissolve in hot liquid until the recipe calls for the chicken stock (although all threads will probably not dissolve fully). 2.) In a large dutch oven (I used a coated cast iron pot), heat oil and add chicken pieces to pan, skin side down, in an even layer. Fry over medium heat for 7 to 8 minutes, and then turn each one over. Cook for about 5 minutes more. Transfer to a paper towel lined plate. 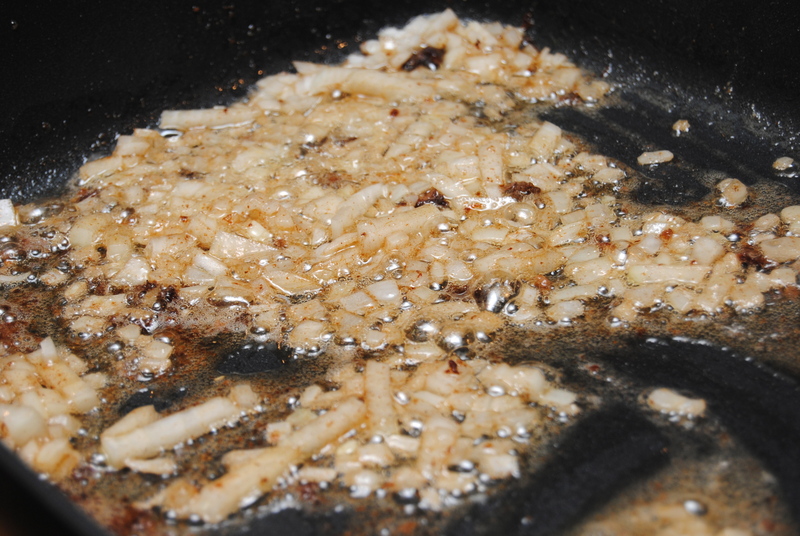 Remove some of the oil from the pot until only about 2 tbsp remain. 3.) 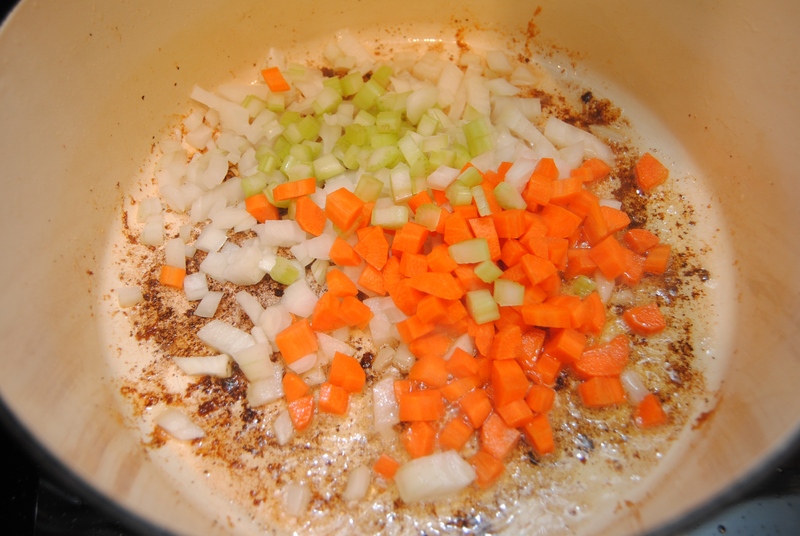 Add carrots, celery and onion to pot, scraping bottom to release any brown bits. 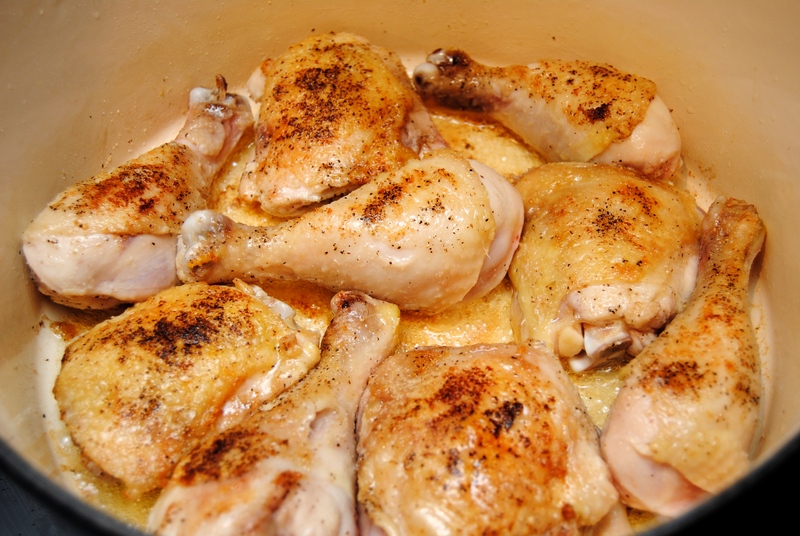 If bottom starts to burn, add 1/4 cup of the chicken stock to deglaze. 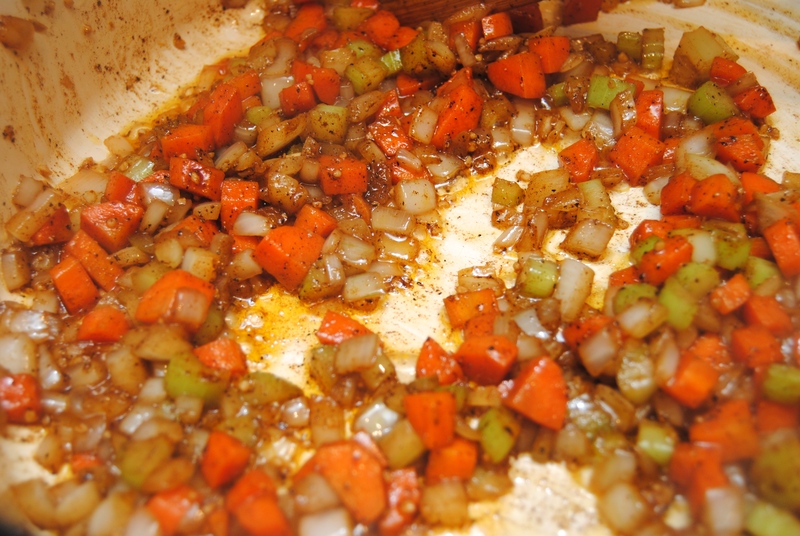 Add garlic, salt, pepper and paprika and sauté until veggies begin to soften, about 3 or 4 minutes. 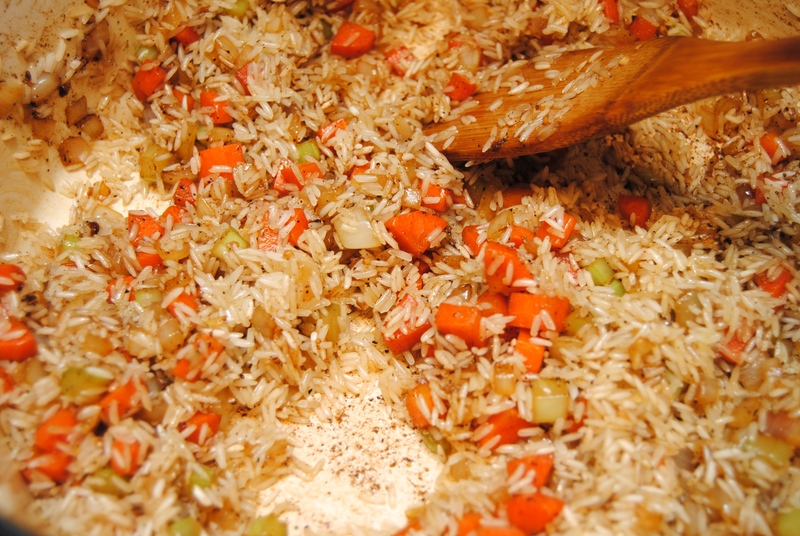 Add rice and cook for about 1 minute longer. 4.) Remove any remaining saffron threads from the cup of chicken stock. Add that stock, as well as the other remaining stock to the pot. Stir well and then add chicken back to pot. Cover and reduce heat to low. 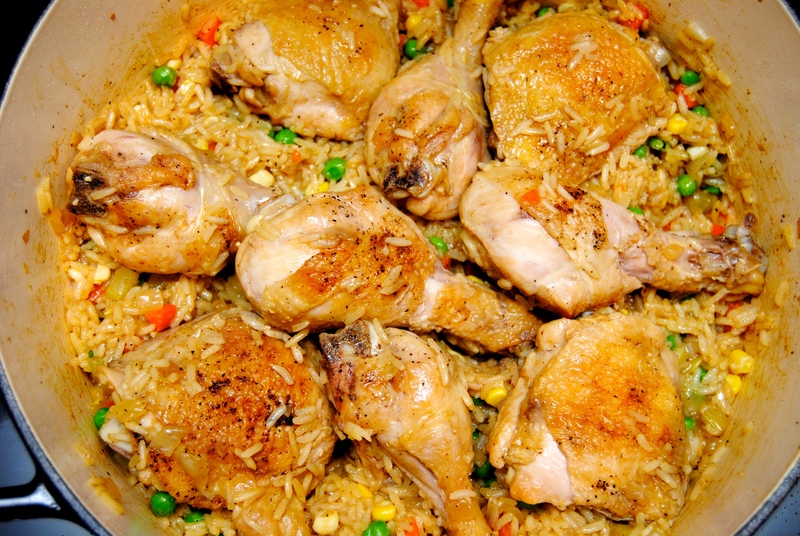 Cook for 17 to 18 minutes, stirring occasionally to make sure rice does not stick, and that chicken cooks evenly. 5.) 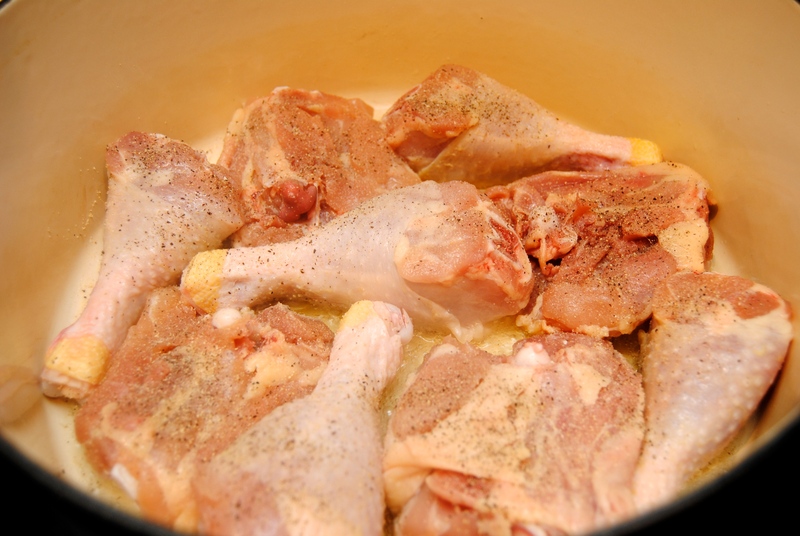 Remove chicken from pot and check the temp to ensure it is at 165 degrees. 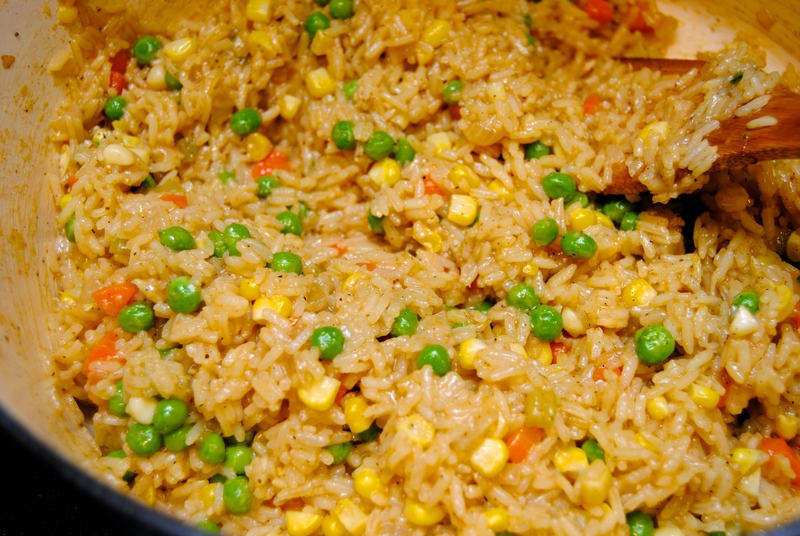 Add frozen peas, corn and lime juice to rice. Stir well and then add the chicken back to the pot. Cover and cook for 2 minutes longer. Today is my second day home with sick kiddos. They’ve been sick with the flu, but I’m happy to report they are starting to feel better! 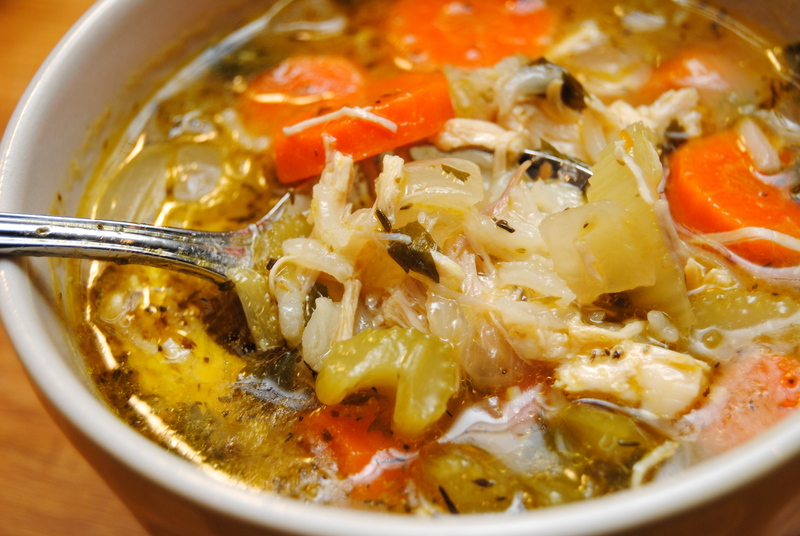 I made this soup for lunch today in hopes it would aid in the “feel better” efforts and both boys enjoyed it. My husband (the real chef) first introduced me to chicken soup with lemon, which at first I thought was a weird combination. Lemon in soup?? That is, until I tried it. I was wrong, he was right (I don’t say this often), and the soup was darn good. So when I asked him this morning for some details on how he made it, he couldn’t remember (go figure), but he could tell me that it was lemon juice (vs. lemon zest). So I made a traditional chicken and rice soup and added lemon juice. It was perfect. So flavorful! 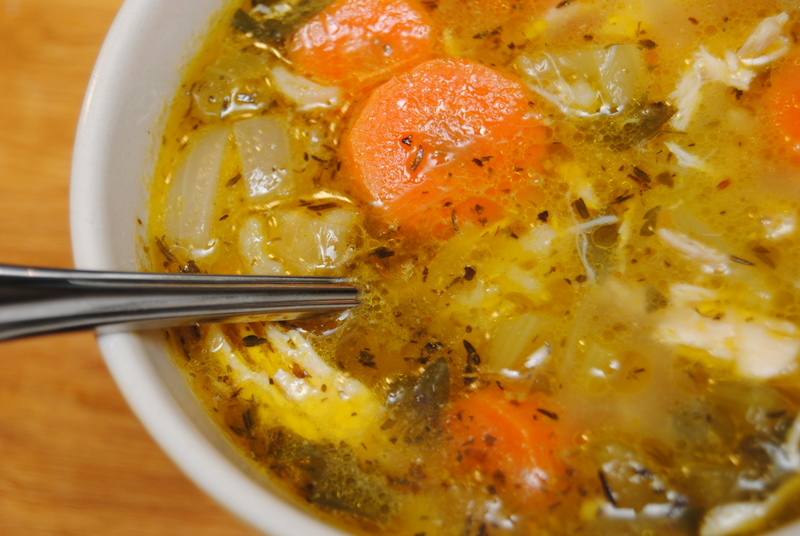 The acidity of the lemon is a perfect contrast to the salty/savory chicken broth. 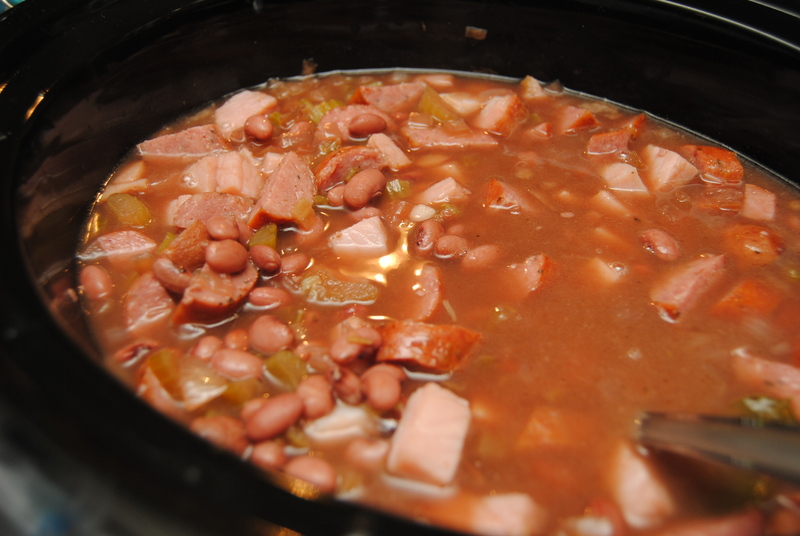 This recipe makes a big ole pot… I plan to freeze some of it for later. Hope you enjoy! 1.) 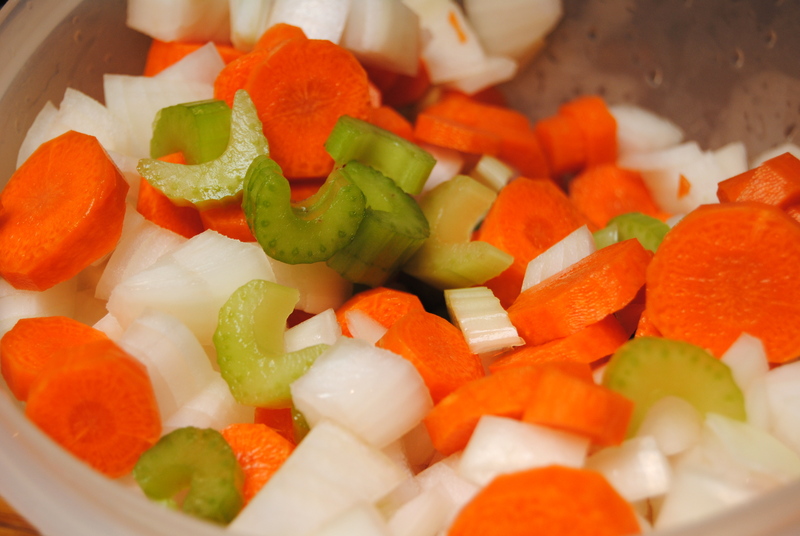 In a large soup pot, heat olive oil over high heat and add onions, carrots and celery. Sauté for about 5 minutes. Add chicken and garlic and sauté for a minute longer. 2.) Add chicken stock, lemon juice, oregano, thyme, salt and pepper. Bring to a boil and then add rice. Stir well then reduce heat to low and cover. Simmer for about 15 minutes. 3.) 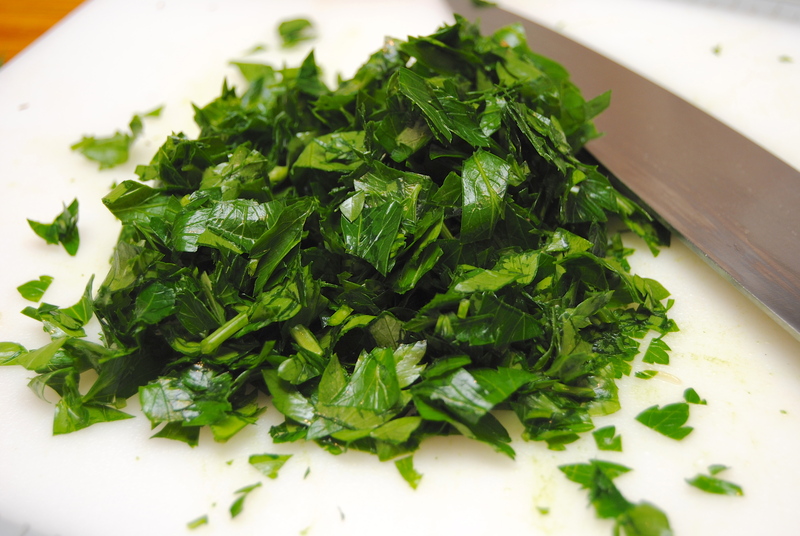 In the last 2 or 3 minutes of simmering, stir in fresh parsley. Re-cover and finish cooking. 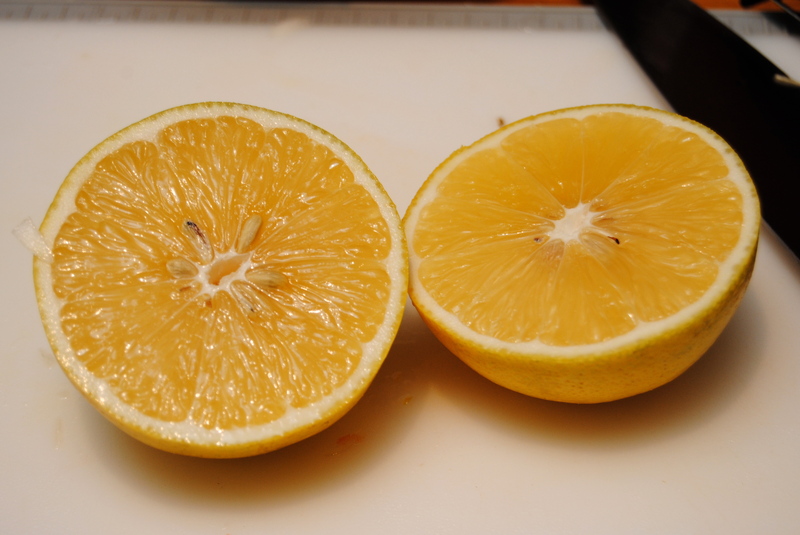 I only had to use 1 lemon because it was a gigantic lemon I got from my grandparent’s tree in Florida. 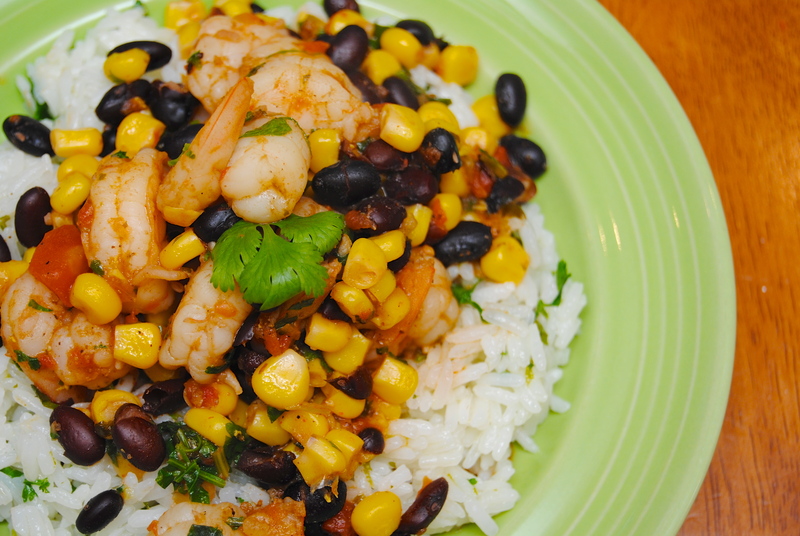 Last night for dinner, I wanted to try something new with shrimp. My go-to with shrimp is pasta or scampi, but I was wanting my weekly Mexican fix. 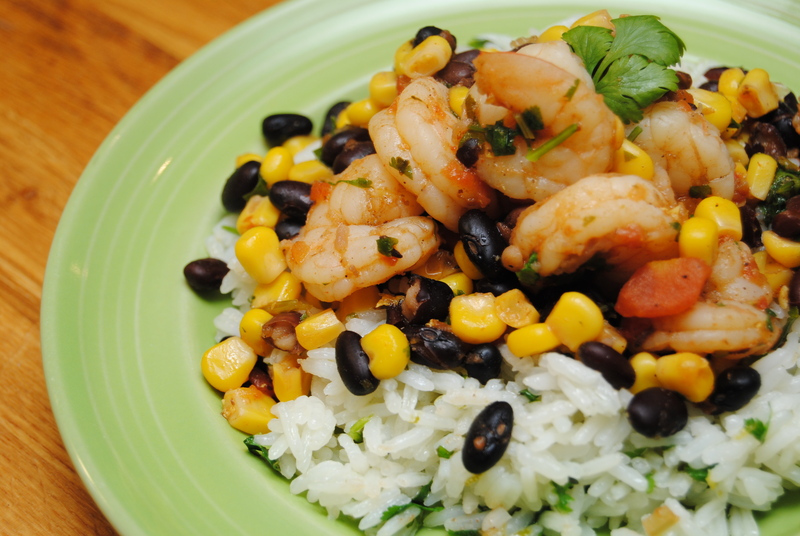 What to do, what to do… So I decided on shrimp with Mexican seasoning, sautéed with black beans, corn, salsa, lime juice and cilantro. 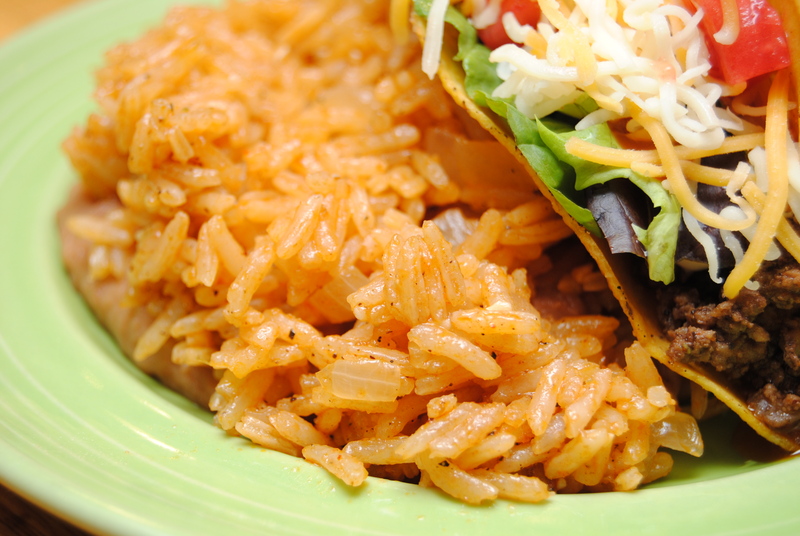 I served it on top of copy-cat Chipotle cilantro lime rice. If I haven’t mentioned before, I LOVE Chipotle – one of my favorite places to eat. Good quality food, reasonable prices, and right across the street from my office makes it good and dangerous. But I digress. This meal qualifies for the 30-minute designation, so it’s definitely weeknight worthy. Since shrimp takes such a short time to defrost, I try to keep some in the freezer and it’s always good for a last minute dinner. 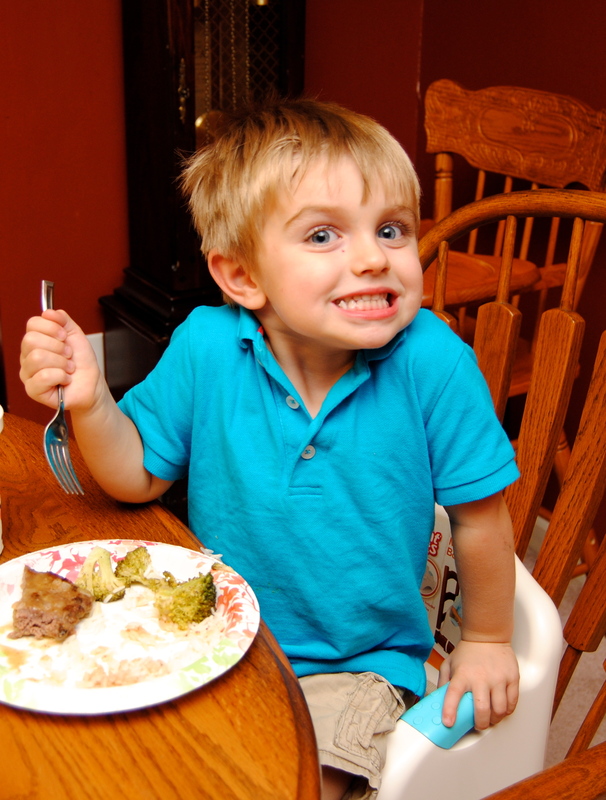 All three of my boys finished their plates with this one so it was a dinner success! Hope you enjoy! 1.) Heat olive oil in large skillet over medium-high heat. Add garlic, saute for 1 minute. Add shrimp to skillet and sprinkle, cumin, chili powder, paprika, salt and pepper over it. 2.) Saute shrimp for about 5 minutes, or until shrimp is pink, stirring well to incorporate all the spices. 3.) 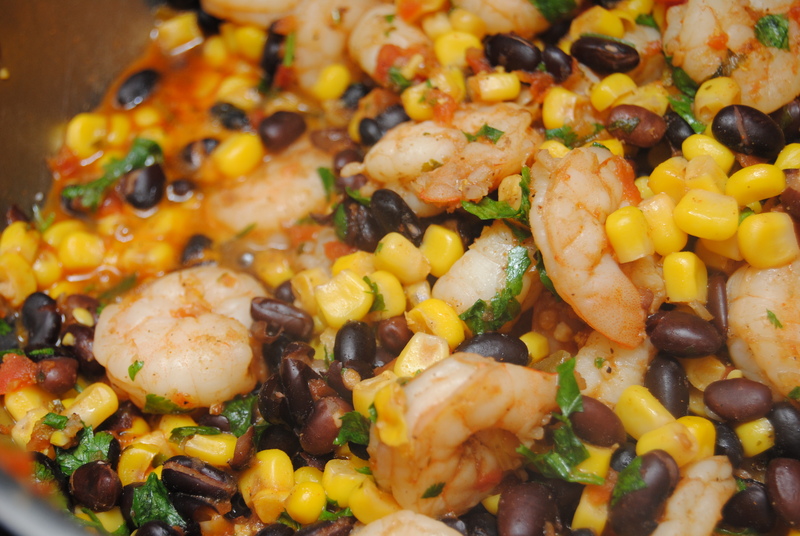 Add salsa, black beans, corn, lime juice and cilantro. Continue to cook until heated thoroughly. Remove from heat. 1.) Heat water, salt and olive oil until boiling. Add rice, reduce heat and cover. Cook over low for 15 minutes. Remove from heat. 2.) Stir in lime zest, lime juice and cilantro. 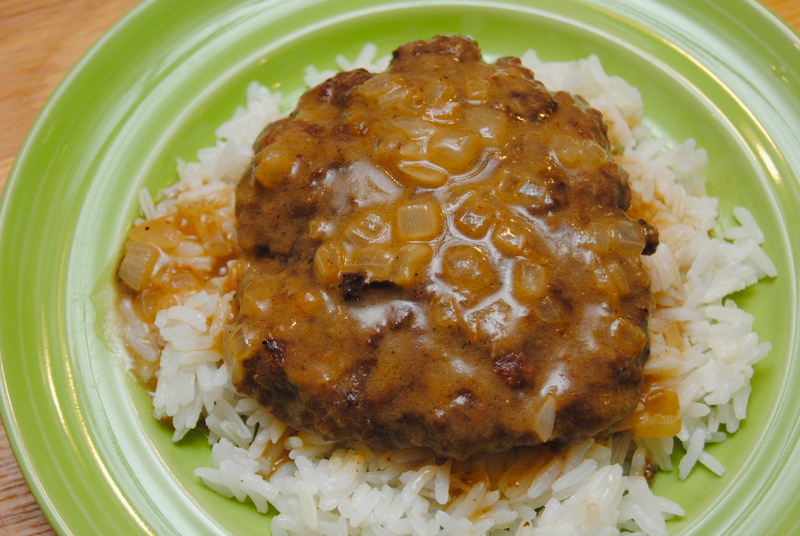 So I’ve actually never made cube steak… or if I have, it was so unmemorable that I have forgotten. But it’s one of those things that I have aspired to make well. So tonight I decided to give it a try. 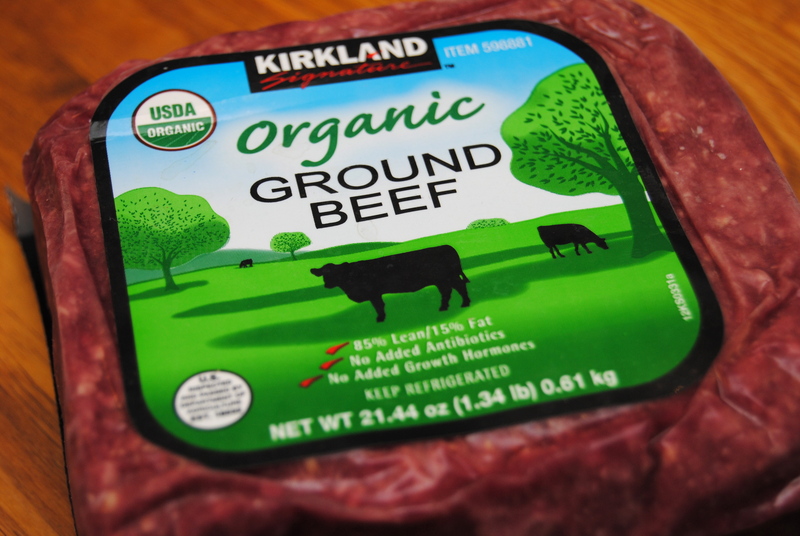 Only problem, I didn’t actually have “cubed steak” – but I did have ground beef; really, really awesome organic ground beef from Costco that is the best tasting ground beef I have ever, ever had, hands down. So I decided to improvise. 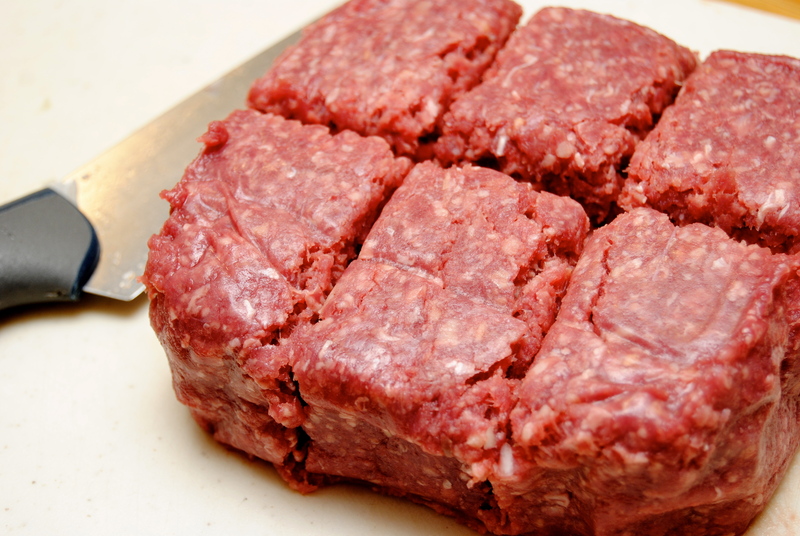 I figured that if I made my ground beef into thin enough patties, and then treated it just like cube steak, it would work. Well, it did – it was awesome! It was the kind of awesome that made me want to get on the phone and tell my friends about how awesome it was (which I did LOL). Really good. Now of course this dish is not the healthiest thing you can fix for dinner, but as I say, everything in moderation (however, moderation is tough with this one). But it is made from scratch using good quality ingredients, so in my book, that counts for something! 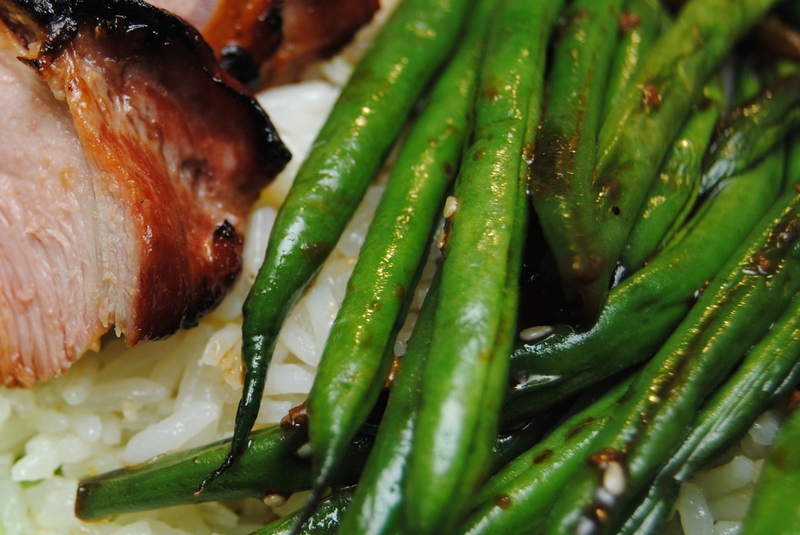 I served this over white rice – Jasmine rice to be exact. 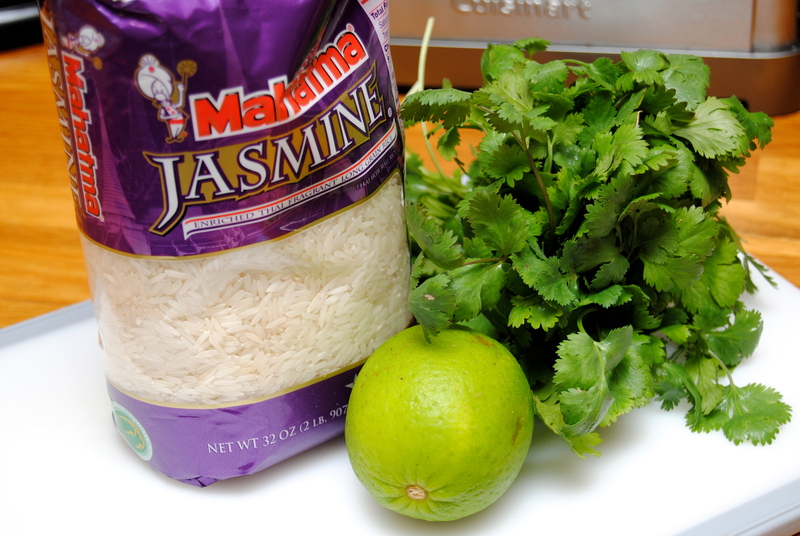 Jasmine rice is by far my favorite – it cooks perfectly in 15 minutes, is never sticky and always maintains a good texture. 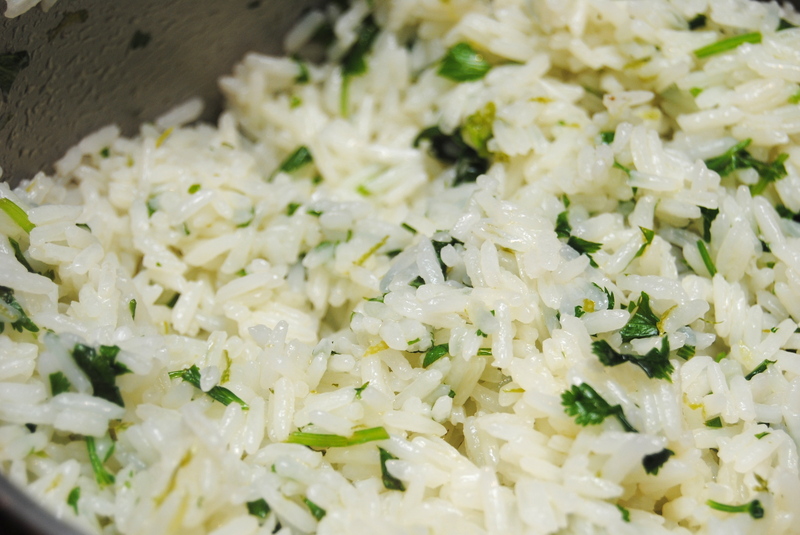 When I’m making my rice, I always add a little olive oil and about a teaspoon of salt. 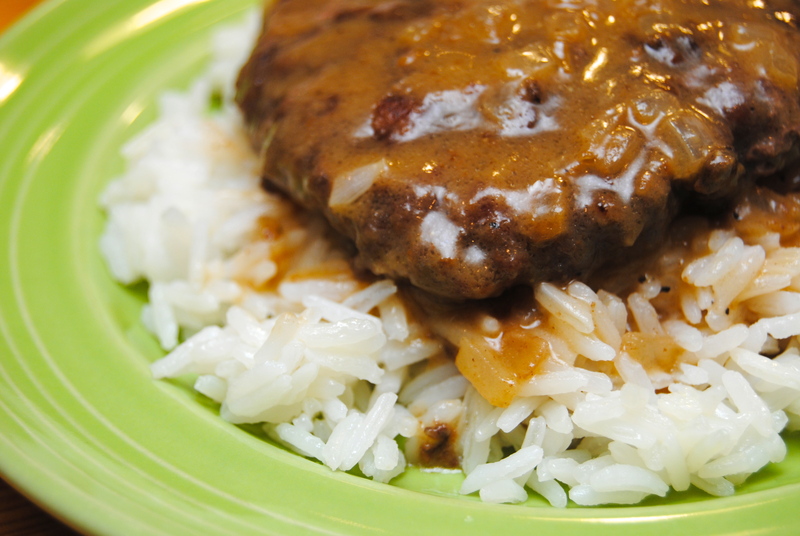 The gravy with this rice is to die for – reminds me of a dish I loved growing up called Corned Beef and Rice and brought back all kinds of good memories. 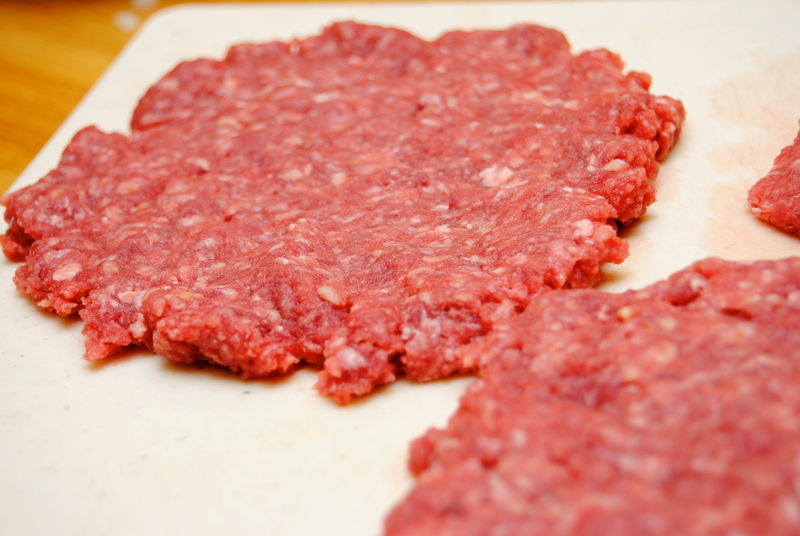 The boys loved this as well (although they like just about anything with ground beef). And I would say dinner was perfect, except that I inhaled a piece of rice in my first bite and I spent 10 minutes or so coughing and choking on it – but other than that, it was a dinner success! 1.) 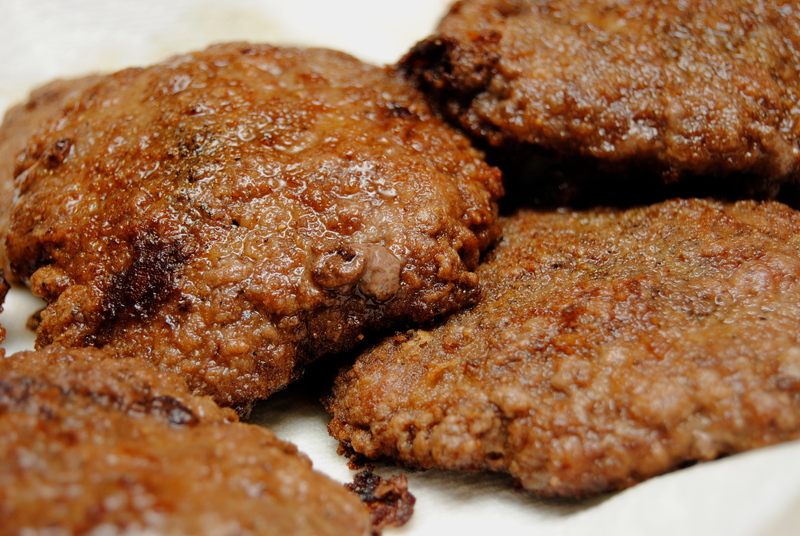 Separate beef into 6 equal parts and press to make very thin patties, but not too thin since you will need to be able to handle the meat without it breaking apart. Season meat well with salt and pepper. 2.) 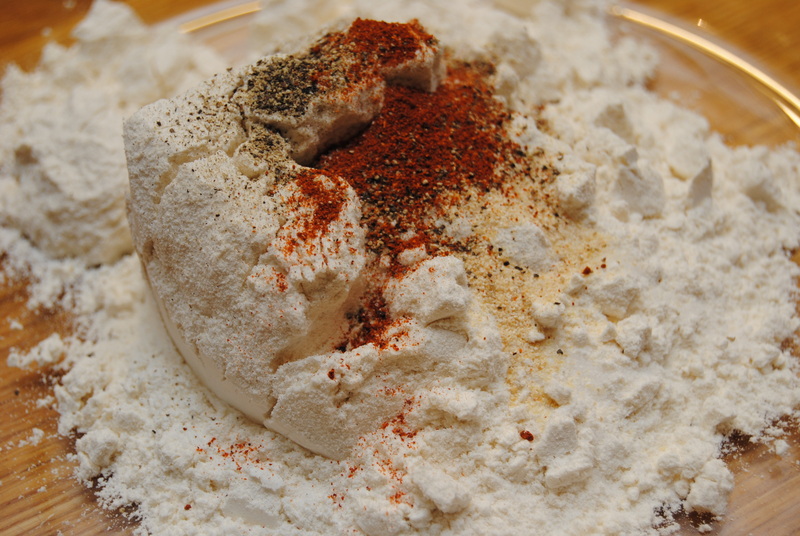 In a pie plate, mix flour, 1 tsp salt, 1/2 tsp pepper, garlic powder, onion powder and paprika. 3.) Heat oil and butter in an electric skillet at 350 degrees. 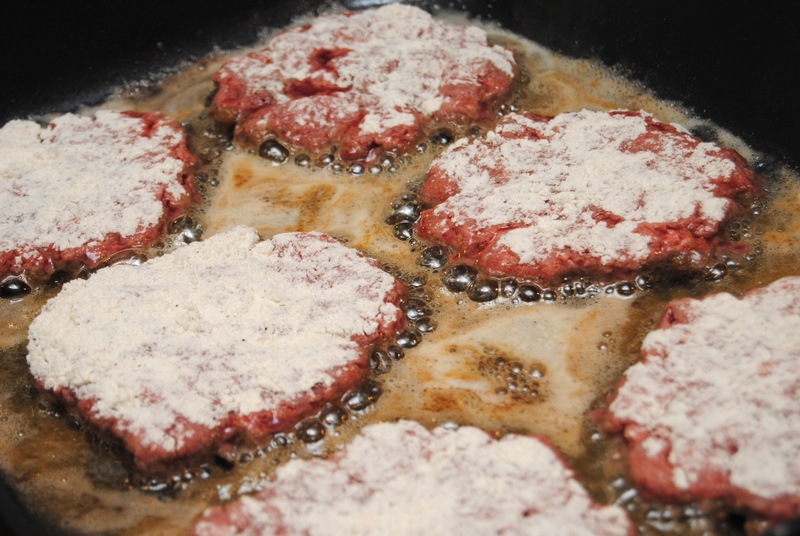 Dredge patties in seasoned flour and then place into hot oil/butter. Cook on each side for about 3 minutes. 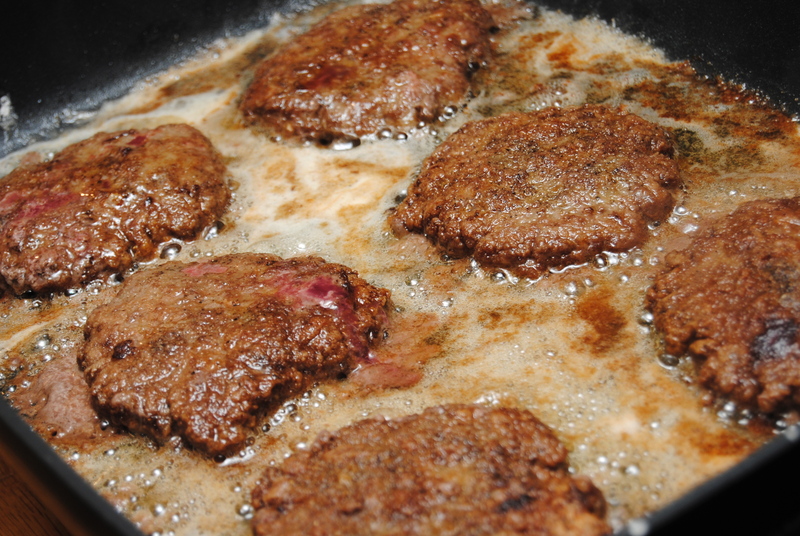 Remove from skillet and set on paper towels. 4.) Add onion to the beef drippings and cook until translucent. Sprinkle flour over onions and mix well. Add beef broth and a splash of half and half. 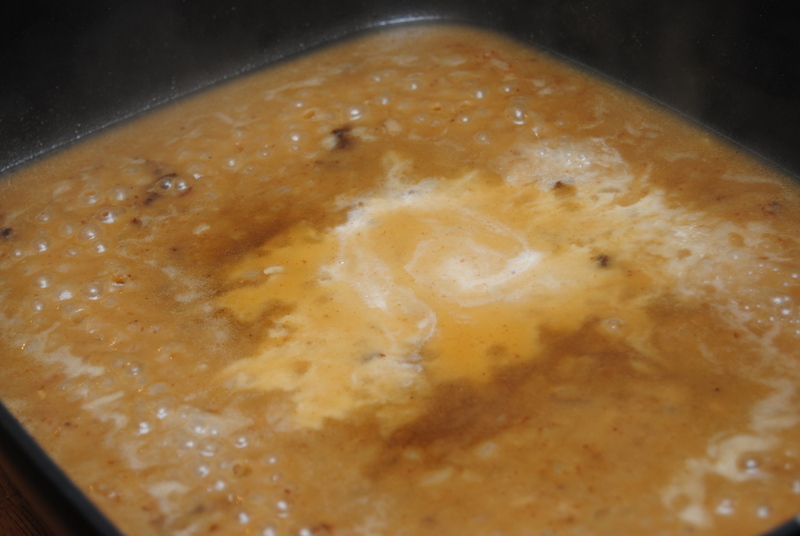 Cook until gravy begins to thicken, about 2 to 3 minutes. Salt and pepper to taste (pepper is your friend in this dish!). Turn off heat. 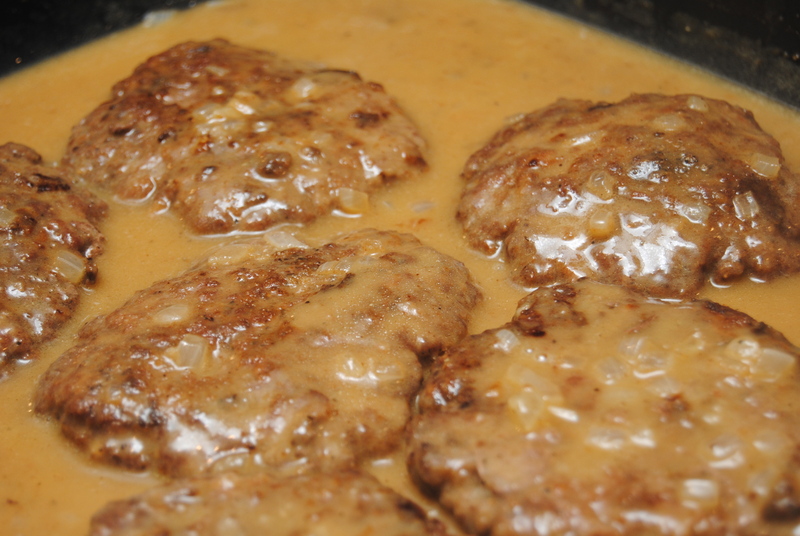 Add beef patties back to the skillet and smother with gravy. Serve over white rice.